Shop Online or Our Location in South Jersey! 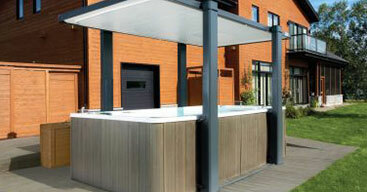 Easily a mark of luxury for any backyard, hot tubs or spas do more than just give you another space to relax. Indulging you with therapeutic relaxation, your outdoor hot tub actually delivers a number of physical benefits such as muscle rejuvenation. It just happens to provide a great place to enjoy a glass of wine with your favorite people. Hot Tubs And Home Spas Just For You! How do you manage to get in a little R&R after a long day at the office, returning home from a lengthy trip, or spending time at your significant others’ place? The truth is, we all have different ways of unwinding at home. While some might find solace in getting lost in a great novel or even trying out a new recipe in the kitchen, others may prefer to have a drink and watch the latest TV series. Whatever your personal preference is, Spa Hearth & Home simply can’t downplay the importance of relaxation as it relates to our mental health. We also can’t praise the incredibly relaxing qualities of a hot tub or home spa enough! 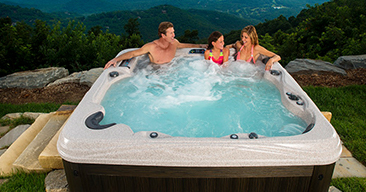 The word “ah” can mean quite a few things, but when it comes to the unparalleled rest and relaxation provided by a hot tub or a home spa, our New Jersey Bullfrog hot tub dealers want your “ahhhh…….” to be an expression of the instant sense of relief and zen that slipping into a hot tub provides. At the end of the day, there’s no better feeling than to leave your worries behind and slip into a true state of relaxation and bliss, especially if you’re dealing with stress from work, relationships, family matters, or whatever else is going on in your life. If you’ve been on the fence about getting a hot tub or home spa, Spa Hearth & Home encourages you to consider investing in a Bullfrog hot tub. Why? Well, as we briefly mentioned above, we’re proud to be a Bullfrog hot tub and home spa dealer in the Maple Shade and greater New Jersey area. We believe that Bullfrog, among other reputable hot tub brands that we carry, serve as a valuable key to the serenity and rest that New Jersey residents are looking for after a long day of working hard, navigating traffic on the roads, and dealing with a multitude of stressors that contribute to poor mental health. 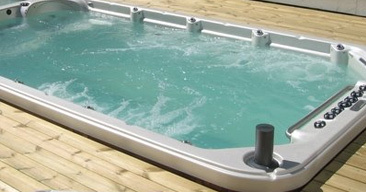 Simply put, a hot tub from Bullfrog helps melt away these stressors, ultimately supporting a happier, healthier life! What makes a hot tub or home spa from Bullfrog different? Bullfrog has revolutionized the hydrotherapy market by personalizing each hot tub with their patented JetPak Therapy System. Their signature jet technology allows the user to easily swap out and replace the jets themselves, while also serving as a system that’s simple to clean and easy to repair — even if you’re not a hot tub expert! 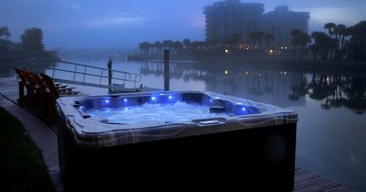 Shop Our Hot Tubs And Home Spas Today! So, go ahead. 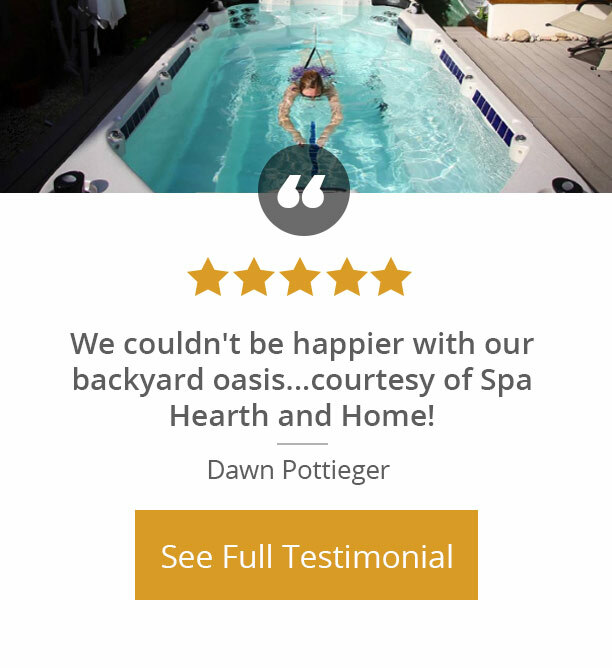 If our Bullfrog hot tub dealers in Maple Shade are what it takes to help you lock in your decision to finally buying a home spa system, then we’re doing our job! Enjoy unrivaled rest and relaxation with your Bullfrog hot tub or your home spa from another trusted brand that we carry. Feel free to view our guide to help you find the hot tub that best suits your needs.